For a number of years I would to skip past Uttoxeter on route to my student digs in the Potteries, and more often than not I would wonder why a town of its size didn’t have a football team. At the time, in fairness I might have been a little naïve, especially on the basis that I didn’t really know much about non-league football below what is now Step 6, but research tells me that from the late Seventies onwards, Saturday football effectively ceased when the then Uttoxeter Town withdrew from the Staffordshire Senior League and played solely on Sunday’s. You could argue that a few miles up the road, Rocester FC were filling the void, but let’s be honest, Rocester is not Uttoxeter, never has been and never will be. ‘Uchetter’ as it’s known by the locals, is a decent sized town and is home to just shy of 14,000 inhabitants. Its famous for its racecourse, the home of the Midlands Grand National, and also the JCB organisation, formed by the Bamford family and still located on the outskirts of the town today. So, we aren’t talking some non-descript one horse town here, we are talking a thriving place, with employment, prosperity and a proliferation of new housing. Not only that, with the advancement in recent years of the A50 which links Derby to Stoke on Trent, and consequently the M1 to the M6, some might argue it’s the perfect place to be? So why no bloody football team then? If I were to try and answer that question I would be making a guess, and I would suggest it could be a combination of factors. 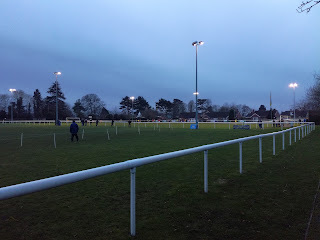 Firstly, I get the feeling Rugby Union is a very popular sport in the town, and as you would expect, so is Horse Racing, so maybe the young men folk have always had something else they would prefer to do. I guess as well it’s a strange one in terms of footballing passion, sitting between Pride Park and the Britannia Stadium , just where do loyalties lie, is football really embedded into the fabric of Uttoxeter? Anyway, it doesn’t matter now because they have a team, albeit the journey to get to where they are now has not been that simple. They first came to my attention in 2011-12 when they left Sunday football after a very successful period, and joined the Staffordshire County Senior League. I made the journey over to have a look at them, and their home was the Oldfield Sports & Social Club, which was a venue just to the West of the town centre, and shared with the Rugby Club. 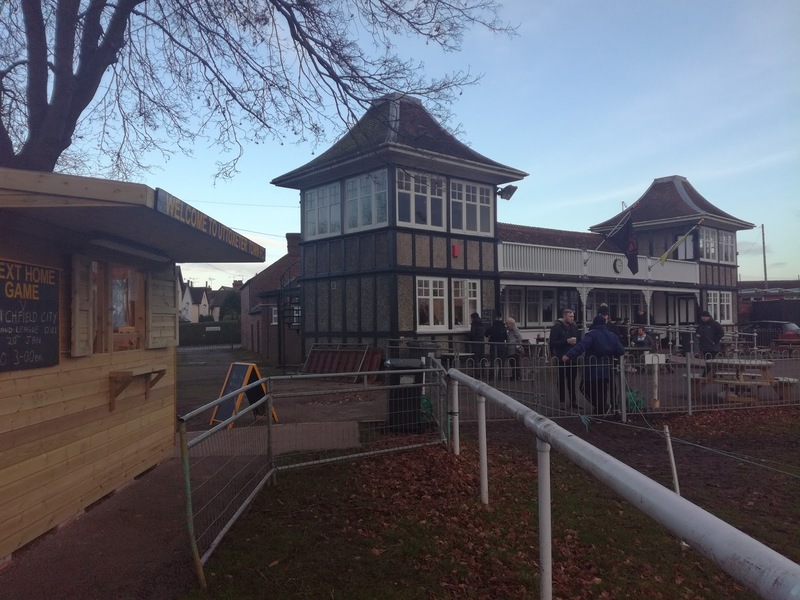 It was just a railed off pitch, but the clubhouse / pavilion was impressive, as was the team, who were recording double figure scorelines on a regular basis. Progress was inevitable, and after finishing runners up to Wolstanton United in the Premier Division, they were invited into the First Division of the Midland Football League for the start of the 2014-15 season. Step 6 football was in Uttoxeter for the first time, and I paid my second visit in the October to see the first ever game under the floodlights, which ended up being a 3-1 victory over once mighty Atherstone Town. The club finished fifth in the first season and many were expecting to see them push on, but it went wrong. 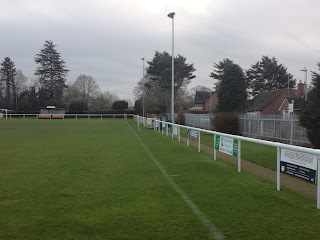 Financial pressures, a loss of sponsors, the management team and some volunteers meant the club were forced to resign from the league and take their reserves place in the Staffordshire County League for the 2015-16 season. It took a season to re-group, and by the start of the 2016-17 season they were back in Step 6 again, which is where we find them today, and with not much in the way of options on Boxing Day, it seemed like the logical choice with not being too far from home. 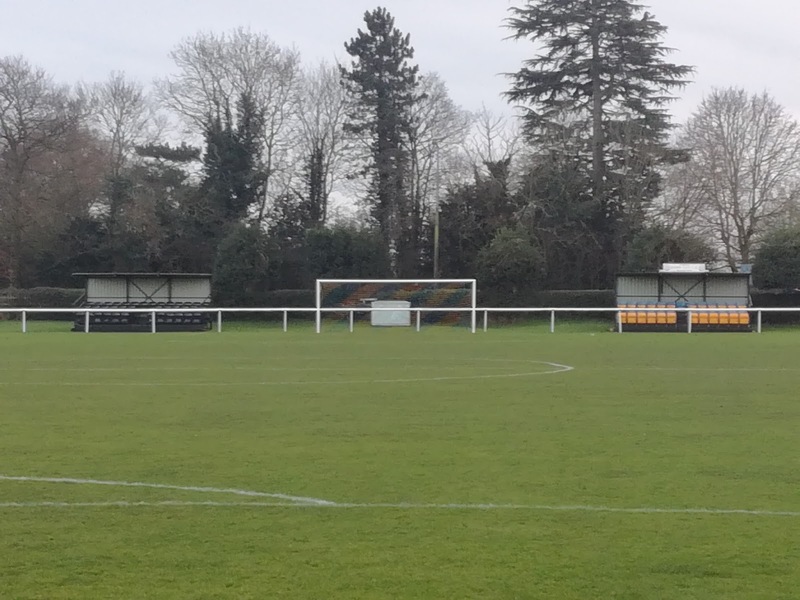 The pitch was in excellent condition despite significant overnight rain, and the clubhouse very busy an hour before the game. 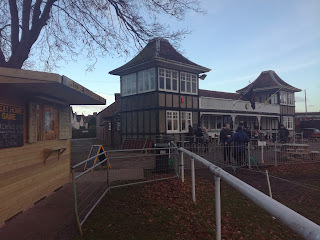 The club were marking the official opening of their new Entrance Kiosk, and very impressive a structure it looked to, it was there that I parted with my fiver and embarked on the walk to the pitch. The walk to the pitch is quite a long one, and because they share with the egg chasers, I’m not sure what can be done to alleviate the problem that could hamper any further upward movement. That said, it’s been a tough season on the pitch for Uttoxeter, and after losing 13-1 last week at Atherstone, promotion is perhaps not top of the agenda right now. 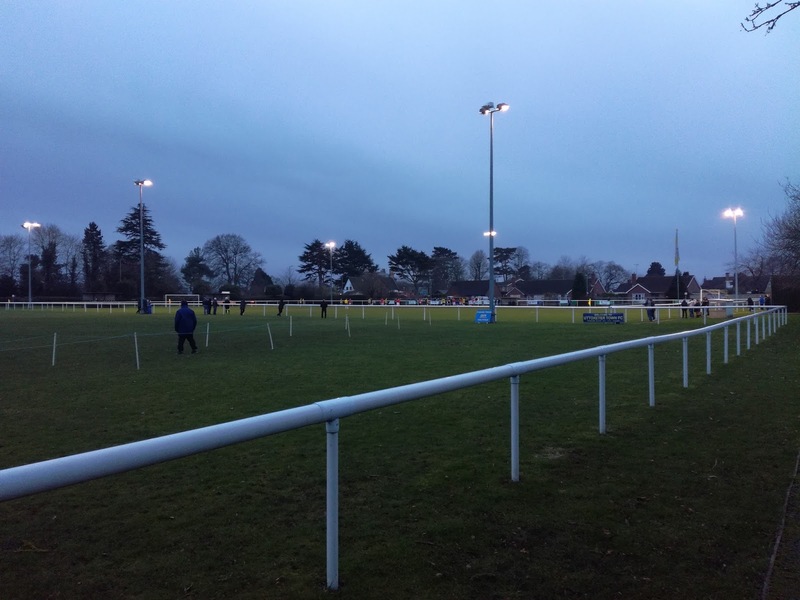 Uttoxeter are a young side, but against a side just one place below them in the table, they put in plenty of effort and for large parts of the game played some neat passing football. Bolehall Swifts from Tamworth were proving a tough nut to crack though, well organised and with a centre half who could tackle a JCB if required, it was clear goals were going to be hard to come by. The only goal of the game came in the second period through Ollie Richie who poked home from close range following something of a goalmouth scramble. 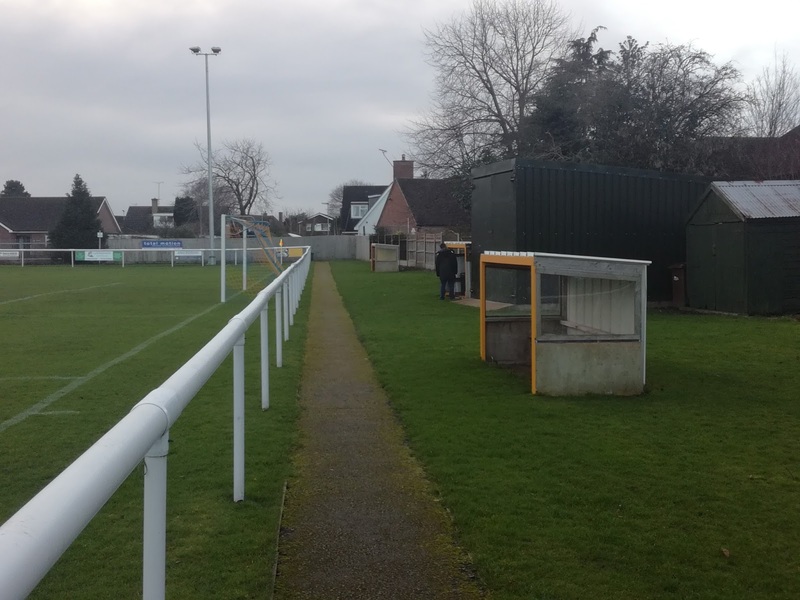 Swifts threw men forward late in the game but Uttoxeter held their nerve, kept their shape and discipline, and ultimately earned the victory they so desperately needed after the Atherstone drubbing. The ground has not altered hugely since my last visit, two small Atcosts sit behind the goal, while behind the opposite goal are a selection of old dugouts that spectators can sit in. Hard standing adorns one side while the side nearest the clubhouse is supposedly out of bounds for supporters but it didn’t seem to stop a few from watching the game from there. So, after a slight wobble a couple of years ago, Uttoxeter now has a football team that can be added to the other attractions in the town. The locals do seem to have got behind it as well, which is good to see. It’s not all about horse racing and diggers you know!